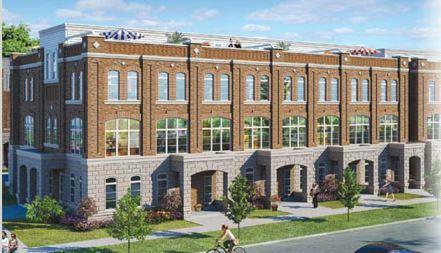 Uptownes, an enclave of 134 loft-inspired condo towns, is bringing the downtown lifestyle to Whitchurch-Stouffville. With a classic brick and stone exterior, the modern condo-town will closely resemble the many distillery-inspired lofts that are peppered throughout Toronto’s downtown core. The best part? 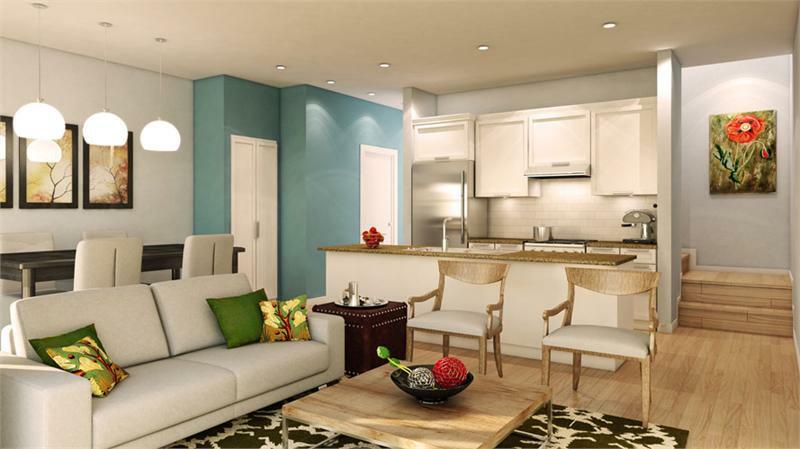 The uptown lofts will also boast an affordable price tag. Geranium Homes is presenting condo-seekers with two-bedroom designs that start from $359,900 and range from 1,401 to 1,639 square feet. You’ll also have a private, spacious rooftop terrace fit for a BBQ dinner, along with two-car parking that offers direct access to yourhome. And those aren’t the new neighbourhood’s only appealing features. The Uptownes designs are all 3-storey homes that include a second level main living area with 10’ ceilings, expansive windows and a Euro-style gourmet kitchen with an island or bar top. Head to Stouffville’s bustling downtown area and peruse the many retail shops and cafes that dot the area. It’s also worth checking out the Starlight Theatre, along with the local farmers’ market. While you’re out, revel in the outdoors at the large park located on Main Street or visit the nature trails in the community of Cardinal Point. If you need to commute to work downtown, you can do so with ease — the GO Station is just a short walk away. You’re also a 10 minute drive from Highway 48 and Ninth Line, along with Highway 404.
Who says you have to reside in Toronto to experience urban living? It’s the perfect option for those who seek the condo-lifestyle but don’t want to live in a high rise apartment. Visit the sales centre on Millard Street, just east of Highway 48 and north of Main Street in Stouffville. For more information call 905 640 9999 or register online here.